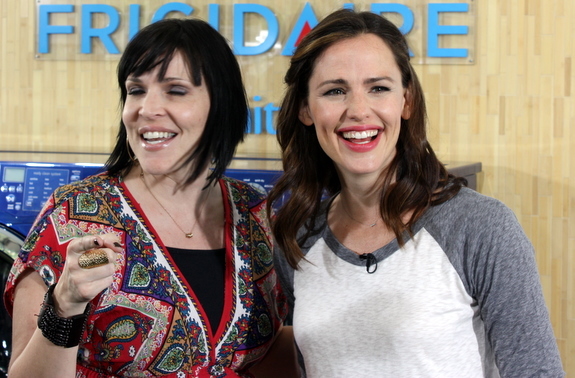 I was invited to go spend the day with Jennifer Garner in Los Angeles again, and even though I’m up to my neck in work, it’s just not the kind of day I wanted to pass on. The kids were invited to come too, so we booked a flight for Viktor and made a quick 36 hour jaunt to the land of pretty people. 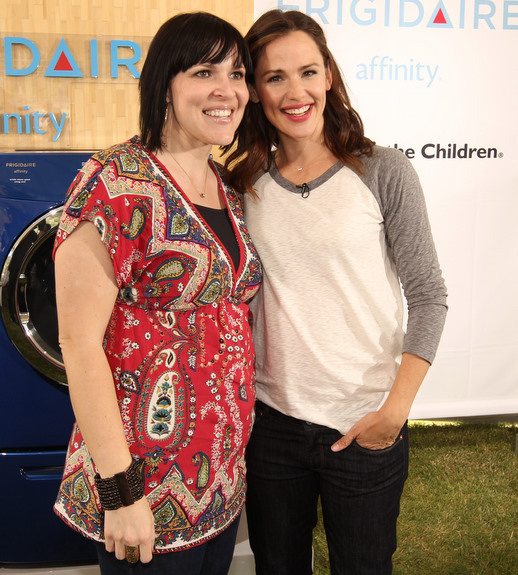 I was one in a group of bloggers who attended the event, children in tow, to play baseball with Jennifer Garner while raising awareness about Jennifer Garner’s involvement with Frigidaire and Save the Children. The event was lovely, as it was last time I flew to L.A. to hang with Jennifer, but what really mattered is that the kids had an amazing time. 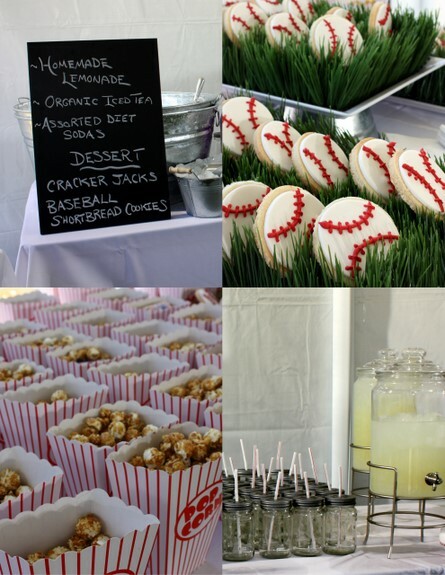 There was unlimited access to cracker jacks, lemonade, soda, and some adorable baseball cookies and the kids literally ran around on the grass all day getting personalized baseball instruction. 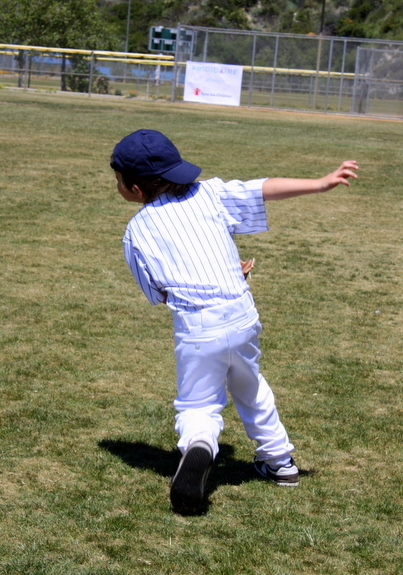 He’s never played a day of baseball in his life. He didn’t even own a mitt before this event. Where did he learn how to do this? Charming was so happy he didn’t know what to do with himself. Jennifer who? Who cares, he was busy playing baseball. Precocious? She wants to be a professional baseball player now. Well, maybe not, but she had a blast playing around at the park. 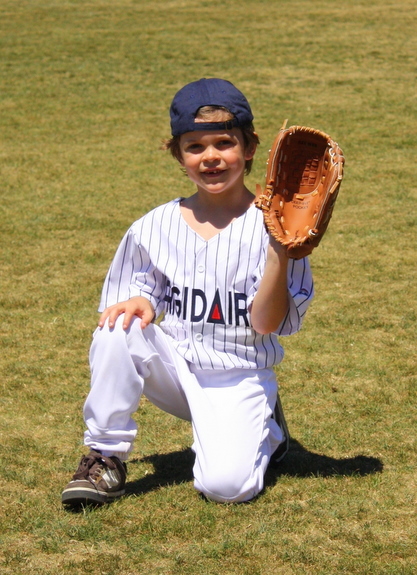 I kind of can’t believe I haven’t exposed the kids to this sport before now; our city has the highest concentration of draftees into minor league baseball in the country. Why aren’t my kids playing already? I’ve got to get my act together on this one. 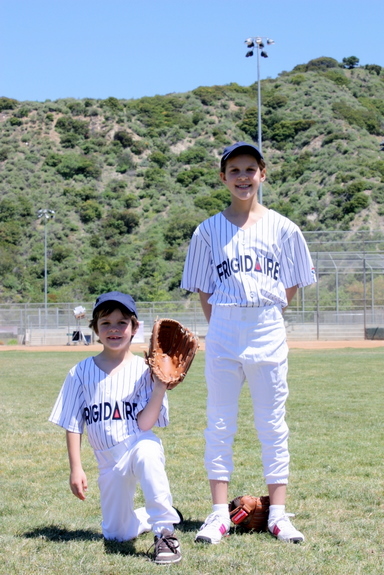 Even Jennifer Garner was impressed with Precocious’ mad baseball skills. 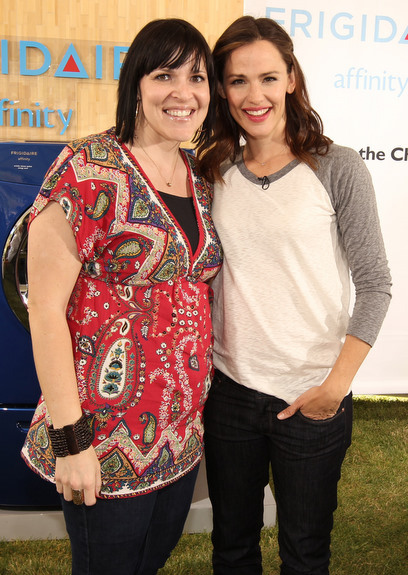 I was impressed with Jennifer Garner’s stylist. Good choice on the Converse. I was a little worried after seeing her in the heels she wore at the last event. Remember those? They were sky high. 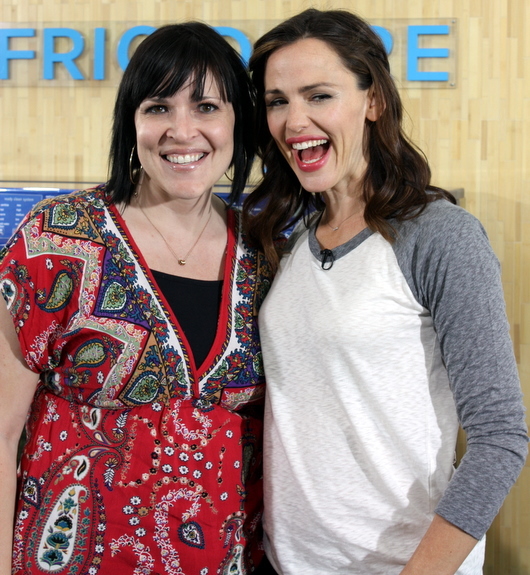 Jennifer Garner is just one of the loveliest people out there. Not just as a celebrity, a spokesperson, all-around-hottie, but as a human being. It’s really refreshing to feel like an A-list Hollywood celebrity, one who’s married to another A-list Hollywood celebrity, is just as down to earth as you think she will be. It was like hanging out with another mom in the preschool carpool lane; albeit a super gorgeous, famous, hot bodied preschool mama. I don’t remember what I said to make her laugh like this, but we had a grand old time chatting about sassy children and their need for sassy mothers. I agree Jennifer, I agree. I wanted to say I love your top. Where do you get them? 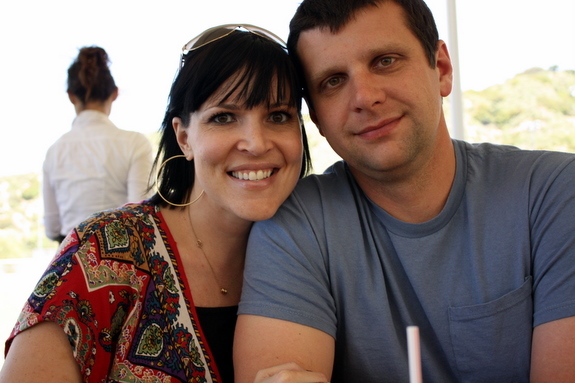 Glad that you had a great time with Jennifer Gardner! It’s Hanes. I think that I got them at Kmart. They come in a two pack, the other one was a dark blue. $7 for both. Can you believe it? And they are tag-less too. Christy, he’s a clever one isn’t he? I found a whole bunch of amazing tops at Nordstrom Rack last year, and this is one of them. My favorite! It was so much fun, and she’s my favorite too! How fun. There are only a few times I’d actually want to be a professional blogger, this is one. Green with envy. Glad you had a great time. It ALMOST balances out the rest of the crazy, don’t you think? Thank you! She’s amazing with little kids, just like I hoped she would be. Love her. And you kinda look like her too!!!!!! I’ve been told that before, but my lips can’t hold a candle to hers. And her dimples! I just don’t have those dimples!